I had a rude awakening at 3:59 this morning. It sounded like an ambulance siren making its way through my master bedroom. Needless to say, I’ve been up since 4:00am. I’ve lived in Florida my entire life (and will probably never leave), lived through countless hurricanes, floods and other natural disasters. I’ve had my roof cave in from a hurricane and lost most of my childhood belongings. I’ve camped out with no power for ever a week. I’ve walked up and down the streets of historic Punta Gorda asking friends and neighbors if they needed supplies. I (stupidly) dislocated my shoulder while catching waves during a tropical storm. I’ve seen a lot… but tornadoes… they scare the living life out of me. 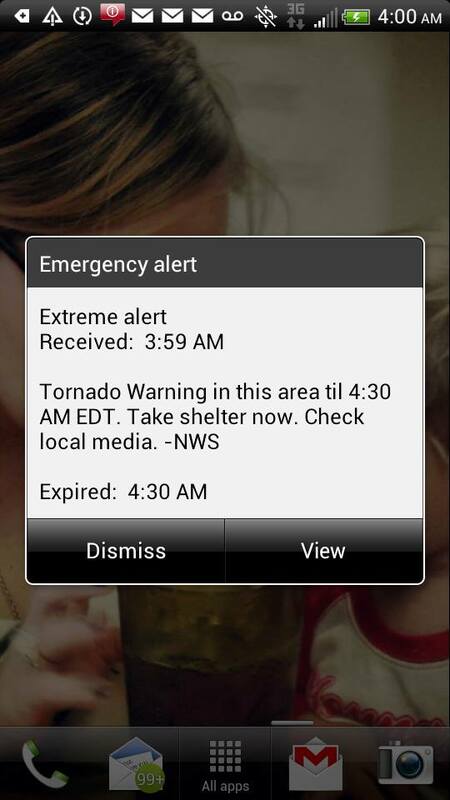 On and off all day, my phone has continuned to receive these “siren” warning messages, as has my television through the National Weather Service updating me on Tropical Storm Andrea and the fact that we’ve been under constant “Tornado Warning”. Just a few moments ago, there was an update that a tornado may have touched down in Suncoast Estates, which is a subdivision made up of 1-5 acre properties just 2 miles away from my home. It wasn’t until then that it hit me, maybe I should really prepare for a worst case scenario? A step further, here’s some useful information provided by The Weather Channel about tornado preparedness. The link below has articles on how to prepare, how to take action during, and what to do after a tornado strikes. No matter what you and your loved ones plan on doing during this and the storms to come this season, be prepared and be safe.